Allahabad’s influence over Indian religion, spiritualism, history and politics cannot be overstated. Known in Hinduism as the site chosen by the creator of the universe, Lord Brahma, as the ‘king of all pilgrimage centers’, this where both the holy Sangam and the Kumbh Mela take place to this day. 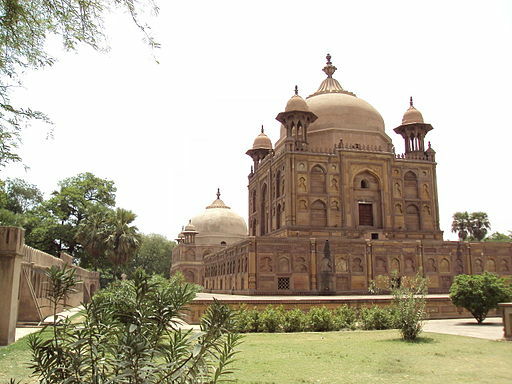 It was also referred to as Ilahabad (‘Garden of Allah’) by Akbar, one of India’s most majestic and powerful emperors, and it has since been called home by two of India’s Prime Ministers. Allahabad is a shining, many-faceted jewel of Indian culture, full of ancient tombs, beautiful people, brilliant restaurants, gorgeous parks and more. Read on for a list of standout sights and experiences to explore in this majestic city. Triveni Sangam is the auspicious spot which marks the confluence of three rivers: the Ganga, the Yamuna and the mythical Sarawasti. Each river is revered in Hinduism. The three rivers maintain their visible identity and can be identified by their different colors and qualities: the water from the Ganges is clear, while the Yamuna is greenish in color, and the Saraswati is said to make its presence felt underwater. This is the holiest point in the deeply spiritual city of Allahabad, and a dip in the Triveni is believed to free one of all sins. Tourists visiting Sangam can hire boats to go out and immerse themselves in this holy water. It is also the place where the Kumbh Mela (the largest mass Hindu pilgrimage) takes place every twelve years, as well as the Ardh Mela, which occurs every six years. Allahabad is known for its North Indian and Mughlai cuisines, and no restaurant can represent these dual strengths better than Eat On. It’s a small restaurant, and you might mistake it for a dinky fast food outlet passing by – but wise travelers will take note of the huge crowd it attracts during the evening. This is because they serve the best biryanis and kebabs in the entire city. One bite of the juicy mutton kebab biryani, and you’ll see what all the fuss is about. Located near the Allahabad Fort is the magnificent Hanuman Mandir, a unique temple in the city where visiting tourists can witness a huge idol of Hanuman, which is 20 feet long and 8 feet wide. A geographical quirk of this temple is that it gets submerged in water when the river Ganges is in full flow. According to mythology, it is believed that the rise in the Ganges’ water level is because the river wants to touch the feet of Lord Hanuman. In the heart of the city you’ll find Anand Bhavan, the ancestral home of India’s first Prime Minister, Jawaharlal Nehru. The bhawan also eventually became the home of Indira Gandhi, who was known as the ‘Iron Lady of India’ and was the first female Prime Minister of India. At present, Anand Bhavan has been turned into a splendid museum where you can learn about the Nehru family, which was not only instrumental in helping Indian gain freedom, but also gave India three Prime Ministers. Along with examining memorabilia belonging to the Nehru Family, guests can also glance through several bookshelves in the museum’s study that are equipped with titles dedicated to Marx and Lenin. Another special feature is a separate room dedicated to Mahatma Gandhi, where he used to stay during his visits to Allahabad. 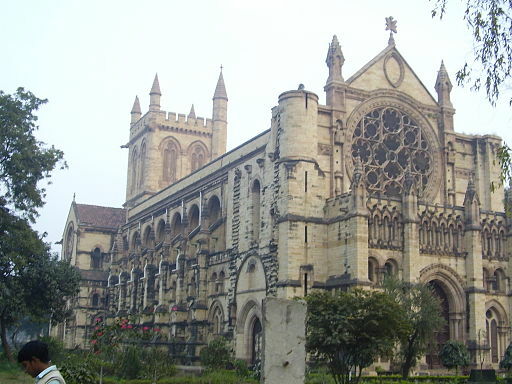 All Saints Cathedral, popularly known as ‘Patthar Girija’, is one of the city’s most famous cathedrals and a revered sacred space among Allahabad’s citizens. The massive church building encompasses an area of approximately 1250 square meters, and is one of the most prized buildings from colonial India. Constructed in the 19th century, the entire cathedral is built in Gothic style, remarkable for the intricate work and designs done on the marble altar. This ancient fort was said to have been originally built by the great emperor Ashoka, but was repaired by the Mughal Emperor Akbar in 1583, from which point it became one of the most prized citadels of the Mughal Empire. Today, the fort is under the control of the Indian Army, but one section of the fort is open to the public as a highly popular tourist attraction. This fort has three magnificent galleries which are flanked by high towers. Saraswati Koop (said to be the source of the holy river Saraswati) is one of the fort’s most popular features; other notable attactions include the Patalpuri temple and Akshaya Vat, a fig tree held sacred in Hindu mythology which is believed to be immortal. Architecture buffs won’t want to miss the fort’s Ashoka Pillar, which was built back in 232 B.C under the Mauryan Empire. 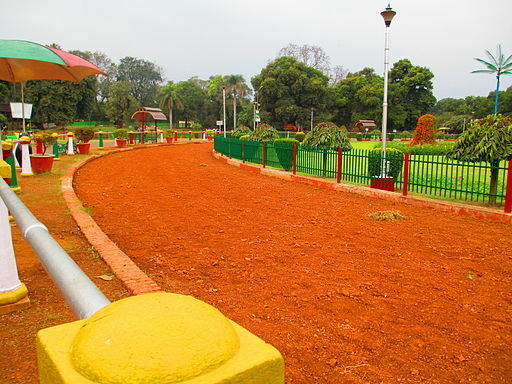 Alfred Park is the largest park in Allahabad. A colossal statue of George V and Victoria can be observed in the center of the park, reflecting its former function as the venue for official ceremonies during British rule. Alfred Park gained immense importance during the Indian Freedom Struggle: a famous encounter between the British police and Indian revolutionaries took place here, when one of India’s most famous revolutionaries Chandra Shekhar Azad got cornered while he was trying to escape. An hour-long fire exchange followed, with Azad opting to shoot himself rather than surrender his cause. This park was renamed as Chandra Shekhar Azad Park after independence, and an honorary bust statue of Azad now stands at the site of his death. Constructed by Akbar in the 16th century at the confluence of the rivers Ganges and Yamuna, this pillar is one the most important attractions of the city, located just outside the Allahabad fort. Those examining the pillar close up will find an Ashokan inscription written in Brahmi, which dates back to 232 BC. A later inscription on this pillar was attributed to the second king of the Gupta Empire, Samudragupta. The inscription by him is in Gupta script, which is considered to be a later version of Brahmi dating back to around 375 CE. 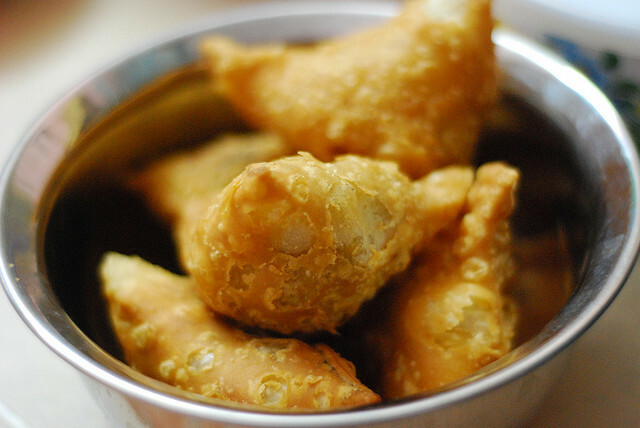 Hira Halwai is one of the best places in Allahabad to savor traditional Indian sweets and snacks. Though it opens quite early at the crack of dawn, you’ll find a crowd here at all hours queuing up to taste the most authentic samosas in Allahabad. They’re often sold out within minutes, so if you’re dead set on samosas, you might have to get up before the sun does! Late risers will find a sweet consolation in Hira Halwai’s heavenly gulab jamun.